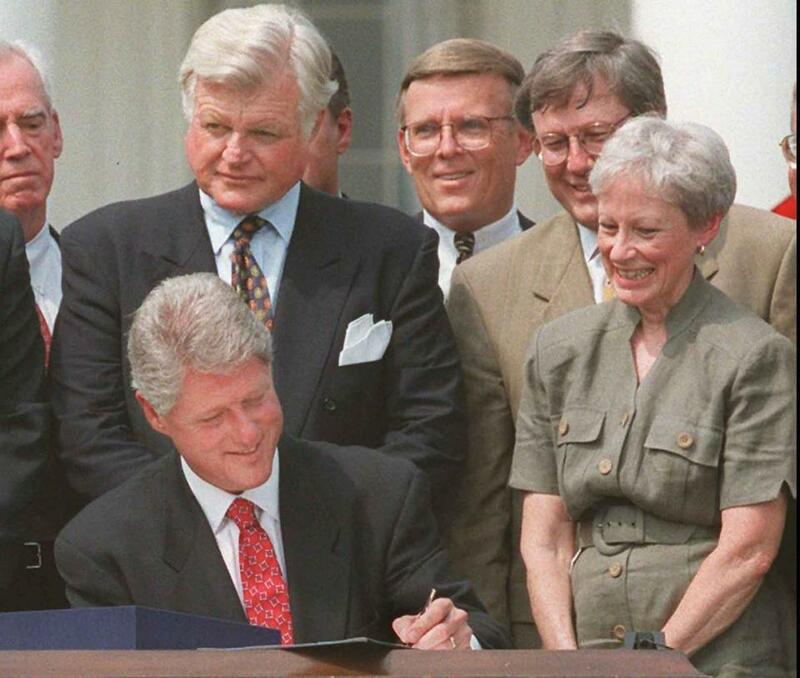 WASHINGTON — Some 15 years had passed since Bill and Hillary Clinton’s health care legislation failed when Senator Edward M. Kennedy sat for a 2008 oral history interview, but his frustration over the couple’s handling of the measure seemed to anger him as much as ever. “I think everybody understands now that that was a catastrophic mistake,” Kennedy told a historian from the University of Virginia’s Miller Center, according to transcripts released this week. “Was there any consultation about this strategy with people in the Congress?” interviewer James Sterling Young asked. It will be no surprise to Kennedy watchers that the Massachusetts Democrat was upset with the way the Clintons launched their failed effort to pass health care legislation in the early 1990s or that Kennedy was perturbed that he — the longtime champion of such a bill — was kept out of the loop. But his words are bound to revive a memory that presidential candidate Hillary Clinton, who was given authority over the health care proposal by her husband, might prefer be long forgotten. Edward Kennedy conducted oral history interviews while he was a senator that covered a range of topics. Kennedy’s lament about the Clintons is among thousands of pages of transcripts of oral history given by Kennedy and 170 people who interacted with him at crucial periods. The transcripts are to be released Wednesday jointly by the University of Virginia’s Miller Center and the Edward M. Kennedy Institute in Boston. The institute provided Kennedy’s interview about health care issues to the Globe as a preview of the release. A more complete set of Kennedy’s 19 interviews and those given by others is slated to be posted online Wednesday, giving the public a fresh chance to review the senator’s career. Kennedy relied on the oral history in the preparation of his autobiography, “True Compass,” so a number of key passages are already public, but historians nonetheless have long looked forward to the full release. Other released interviews offered insight into the senator’s passion on such topics as Northern Ireland and immigration, according to The New York Times. On the latter, Kennedy blamed a lack of commitment and poor work habits among members and weak leadership — particularly that of then-majority leader Harry Reid — for the failure to pass a bill in 2007. Reid, Kennedy said, was “never really interested in it until the very end, and at the very end it was too late,” according to the Times. Throughout the oral history interview on health care, which was conducted in Washington on March 28, 2008, Kennedy time and again reveals the intensity of his feelings about how the Clintons handled the legislation. His relationship with then-President Bill Clinton started warmly, as Kennedy recalled that Clinton went with him to visit the gravesite of his brothers at Arlington National Cemetery. Kennedy believed that the Clintons would try to build upon his own work on health care, which spanned decades, as well as that of others in Congress. Instead, Kennedy said, the Clintons established a task force that delayed the proposal for months, losing valuable time. Notably, two months before he gave this interview, Kennedy had endorsed Barack Obama for the Democratic presidential nomination, a rejection of Hillary Clinton that may have played a role in her defeat. Kennedy had learned years earlier the danger of being ideologically rigid when it comes to the politics of health care. He had rejected a 1971 proposal by then-President Richard Nixon that would provide subsidized health insurance for the poor, preferring a nationalized health plan. He later told the Globe that he should have “jumped” on Nixon’s deal. 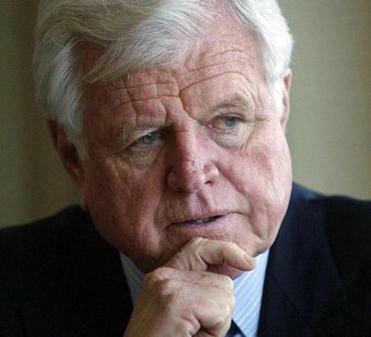 Kennedy, who was closely consulted by Obama about health care legislation, died on Aug. 25, 2009. President Obama signed the bill that has become known as “Obamacare” on March 23, 2010. The Kennedy oral history is the largest such work done by Institute of Presidential Studies at UVA’s Miller Center, according to the director, Barbara Perry. While the Miller Center mostly focuses on presidents, the Kennedy project was deemed uniquely important and came about in part due to the rapport that the senator developed with those at the center. Kennedy was a graduate of UVA’s School of Law, Class of ‘59. Kennedy’s recollection of the Clinton failure to pass health legislation is an example of how oral history can provide context that helps people understand events of the past and their relevance today, she said. Obama, for example, made sure to involve Kennedy from the start. “This is a lesson that was learned by the Obama administration about how not to follow the pattern of the Clinton White House on health care,” Perry said. Under the terms of the history project, the Kennedy family has final say over when transcripts are released and what they contain. The family can redact passages and withhold entire interviews. Perry said that the Kennedy estate allowed the release of about 700 pages, with another roughly 300 pages held back but available for possible future disclosure. One of the withheld transcripts, according to the Times, dealt with the scandal over his accident in 1969 on Chappaquiddick Island, in which Mary Jo Kopechne died.